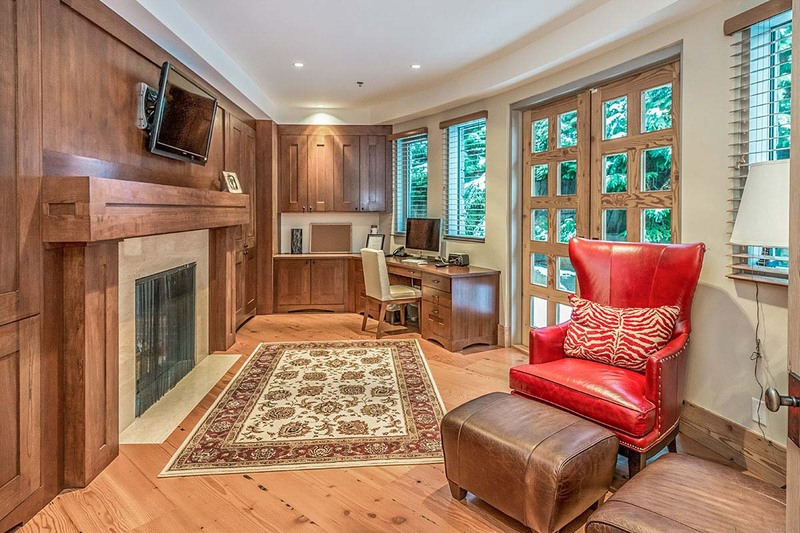 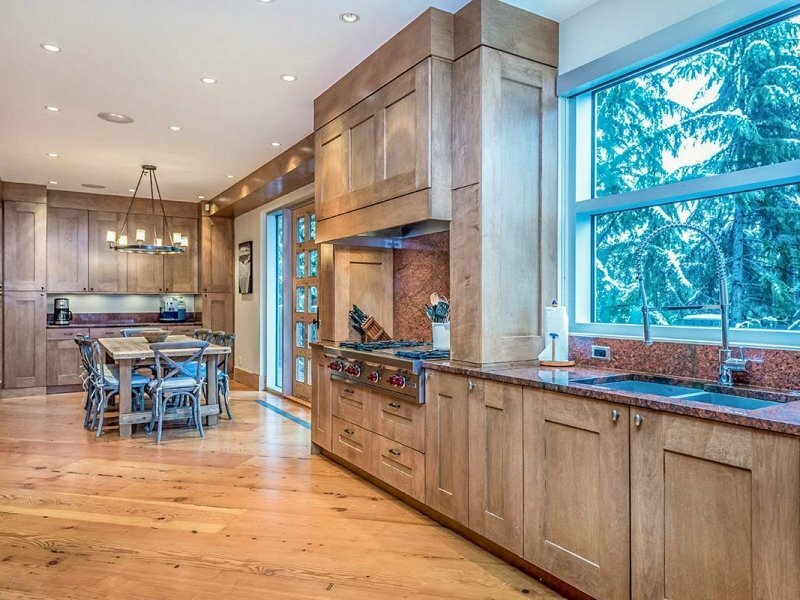 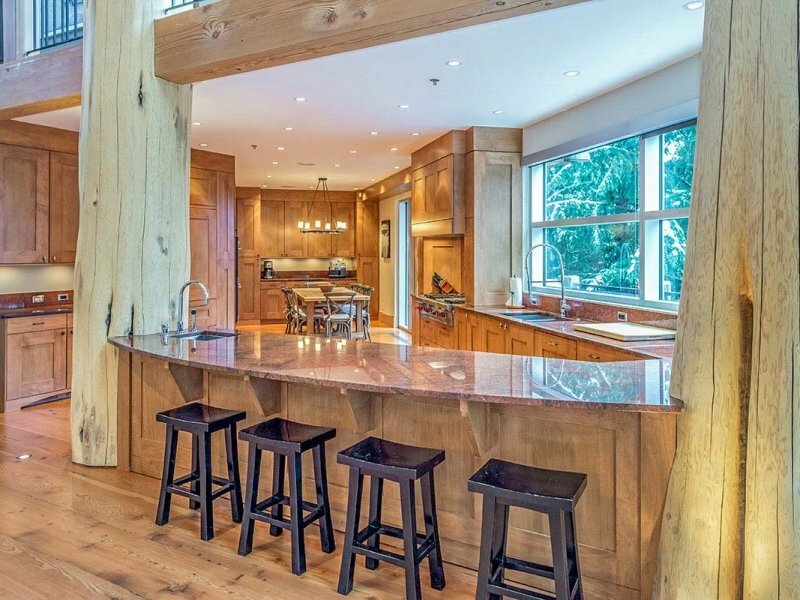 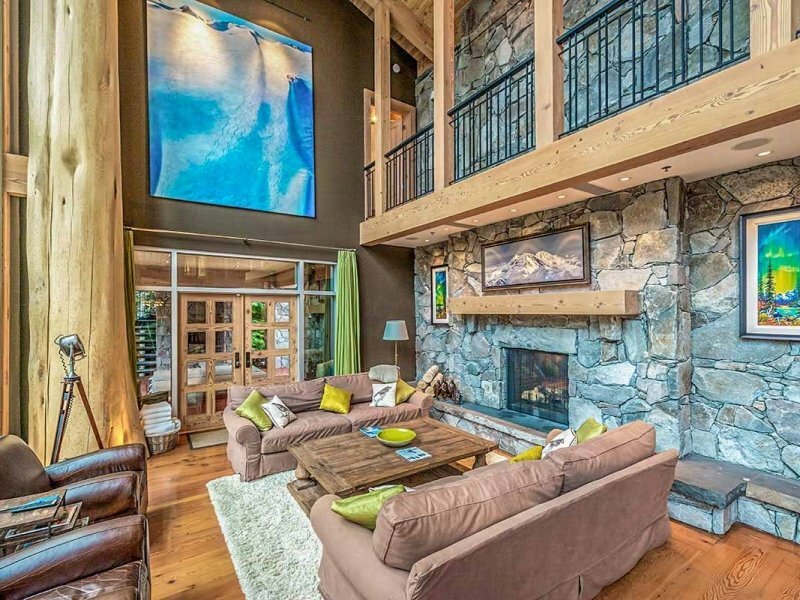 Spectacular executive home located steps to the Whistler village. 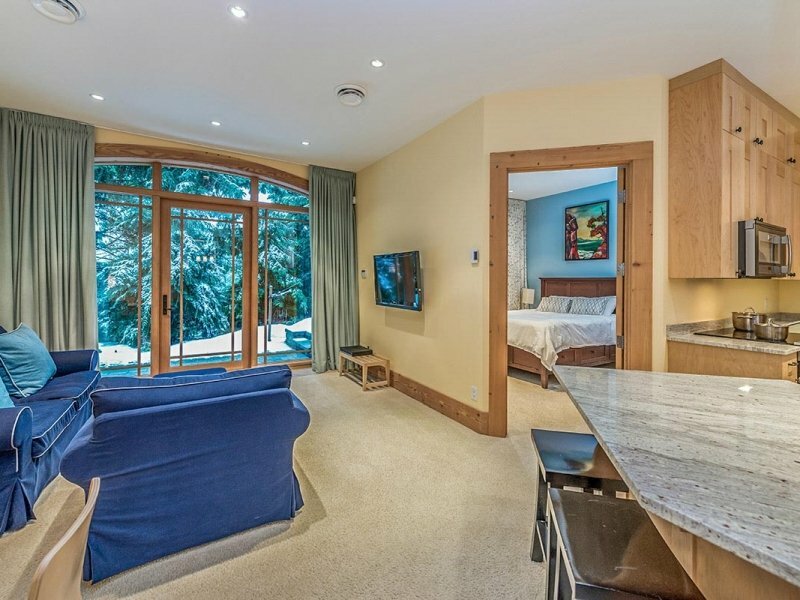 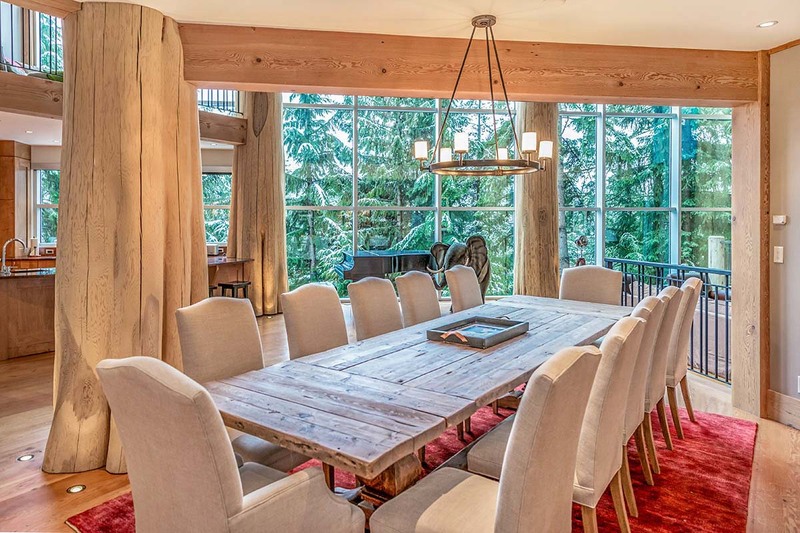 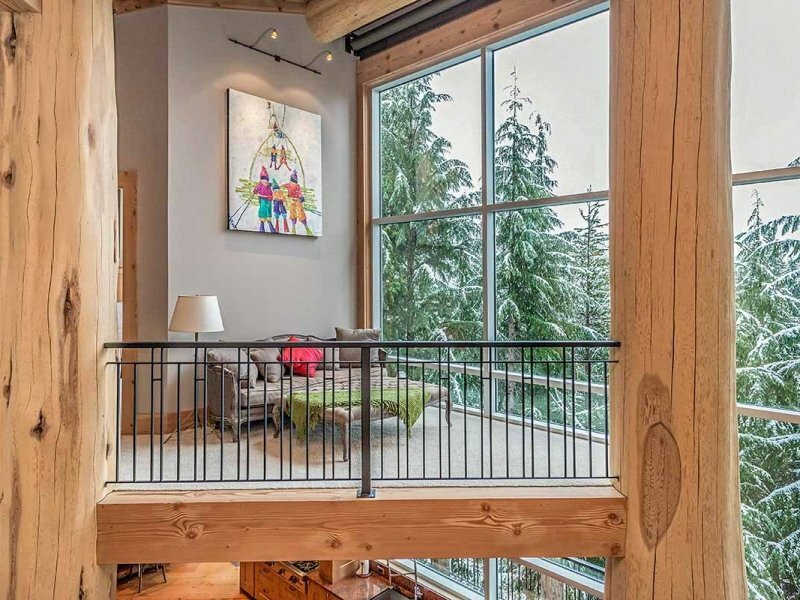 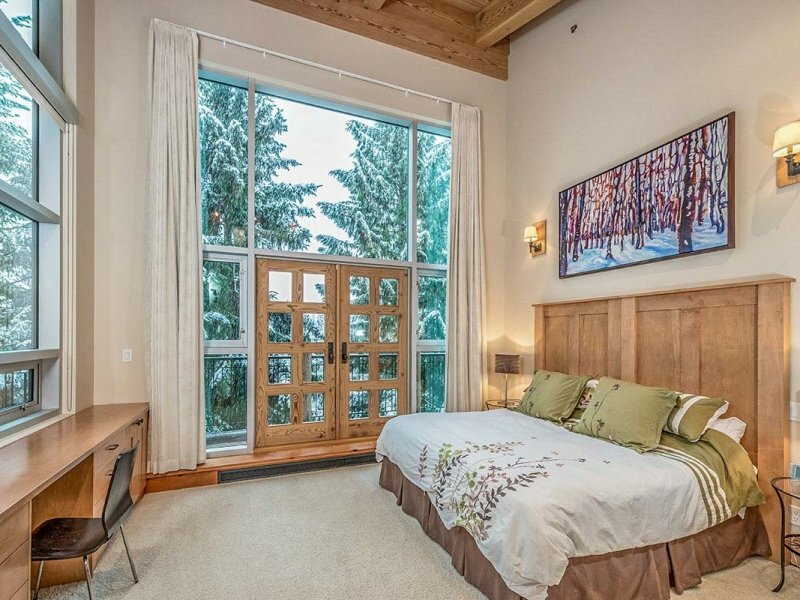 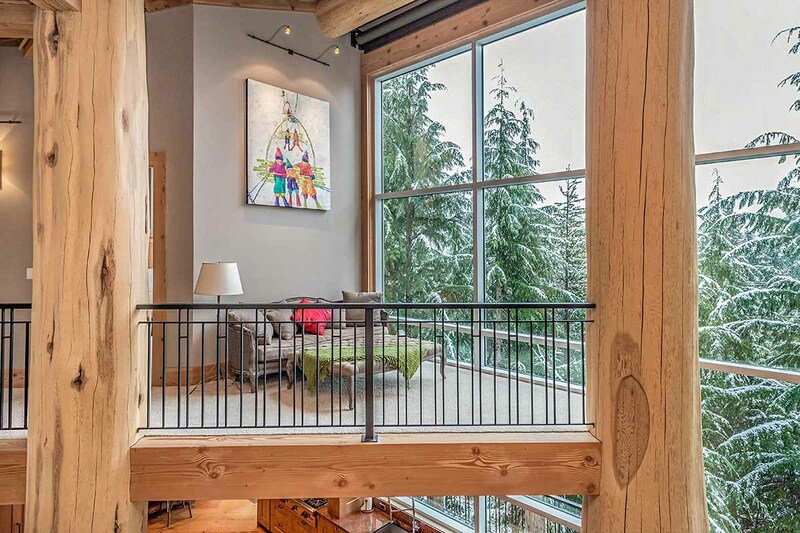 Breathtaking panoramic views of Whistler and Blackcomb showcased through 30-foot floor-to-ceiling windows. 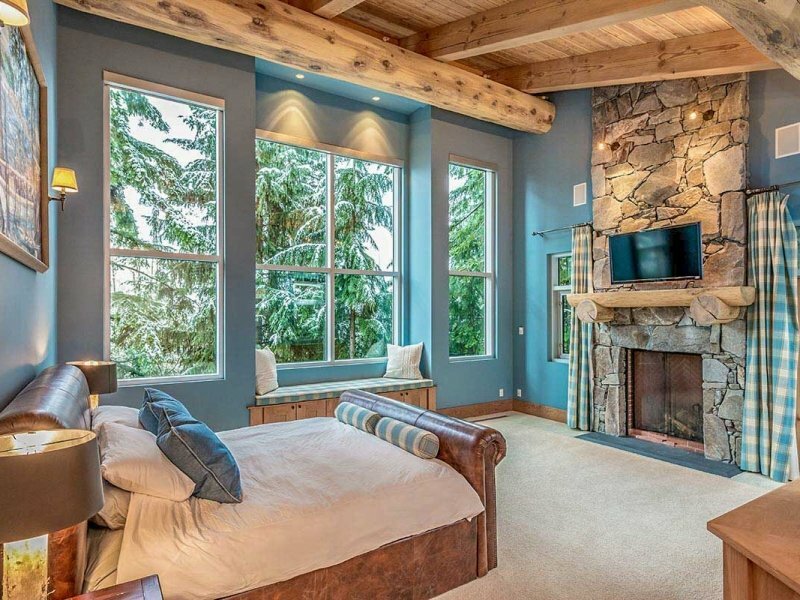 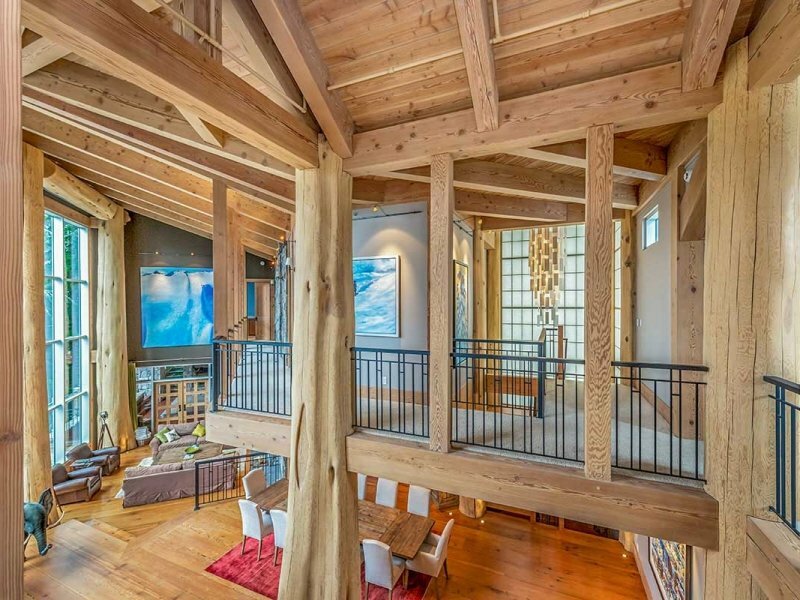 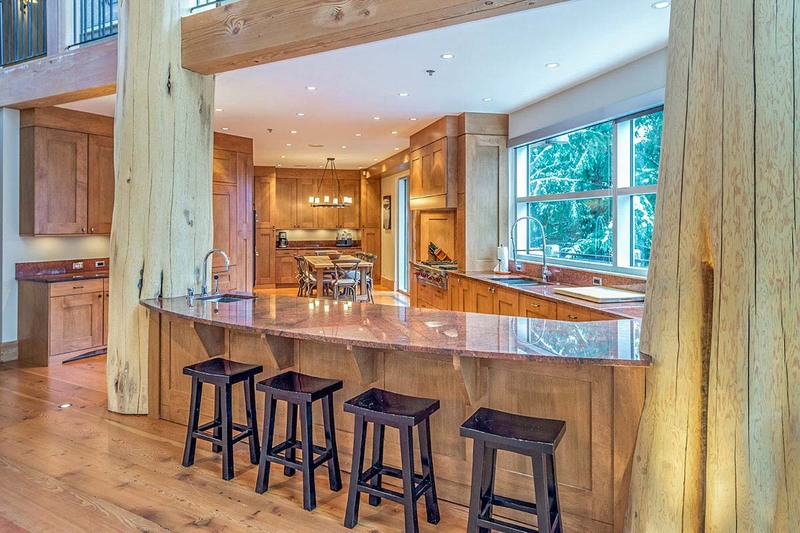 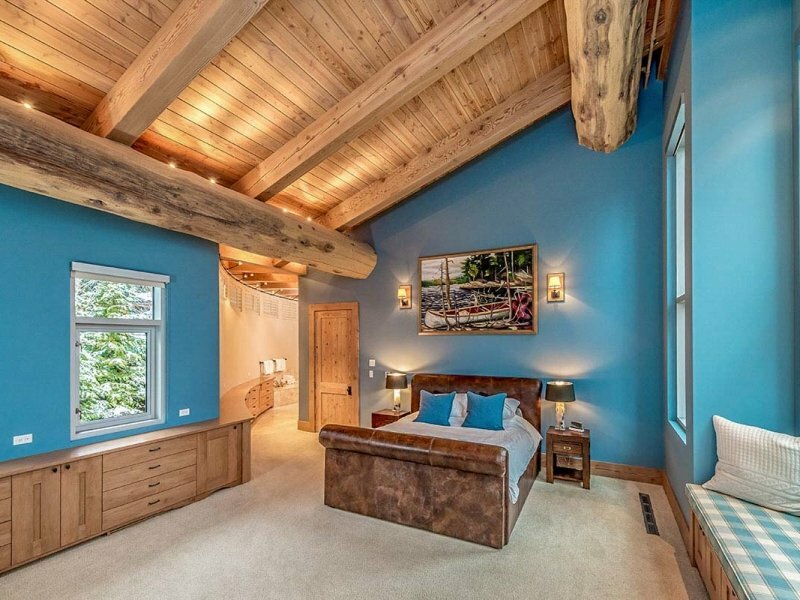 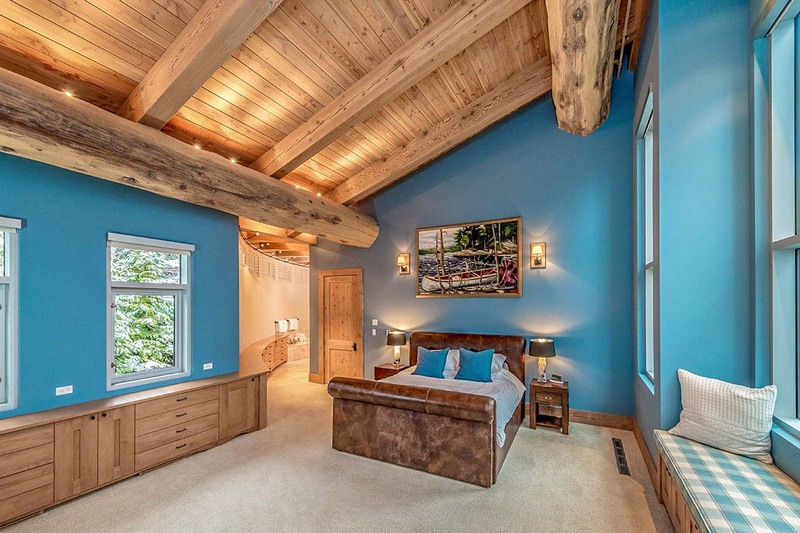 This superior quality home features huge cedar-log posts and beams, natural rock, slate tile, and extensive woodworking. 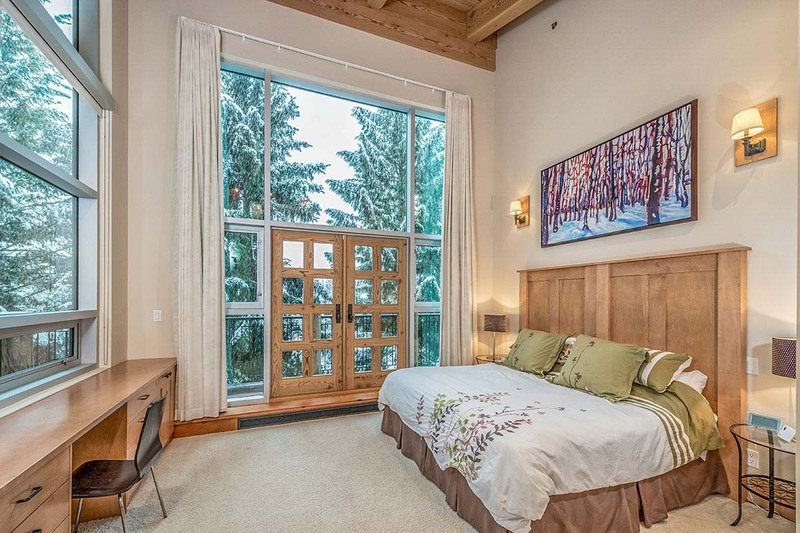 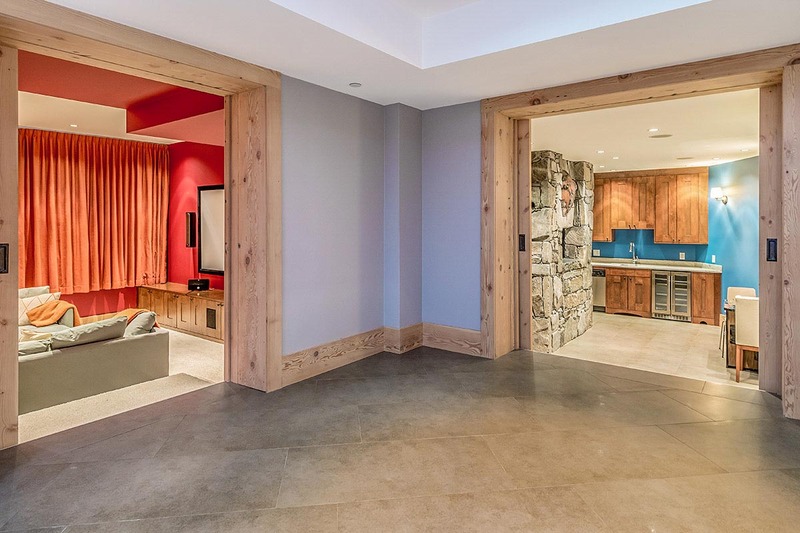 Top quality furnishings, art, and appliances complete this plush and spacious mountain home retreat. 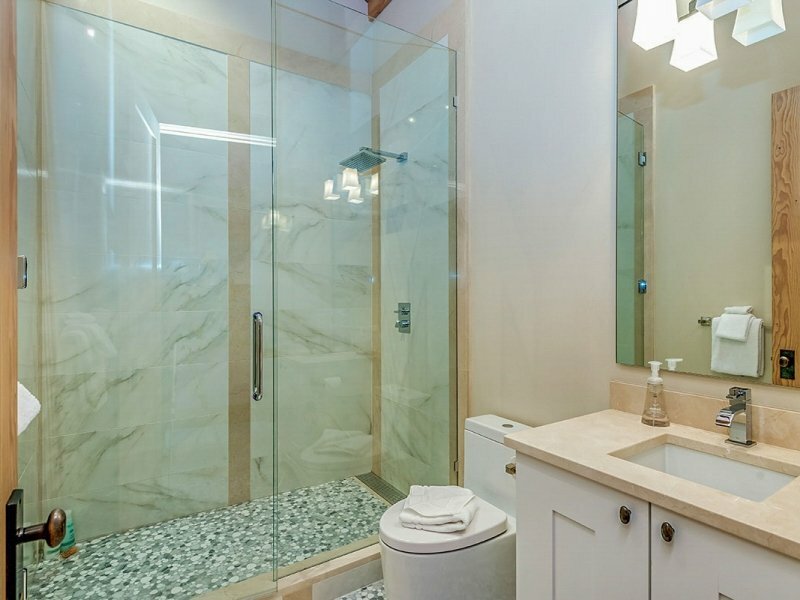 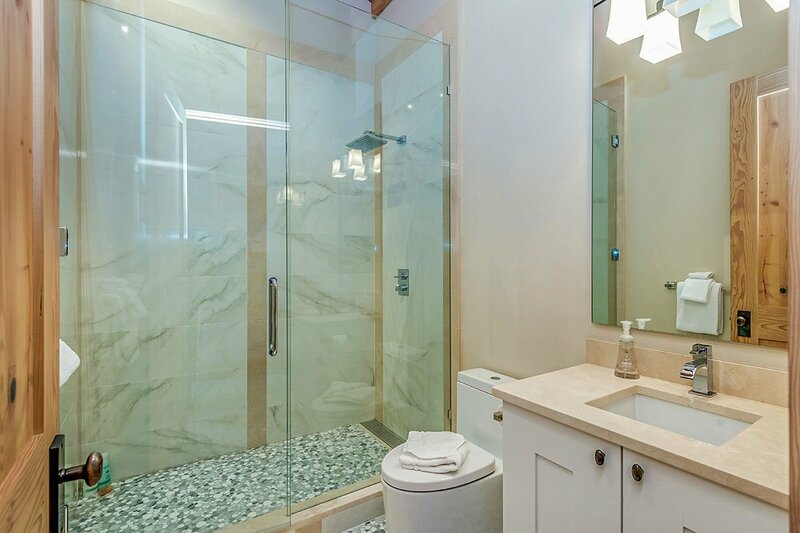 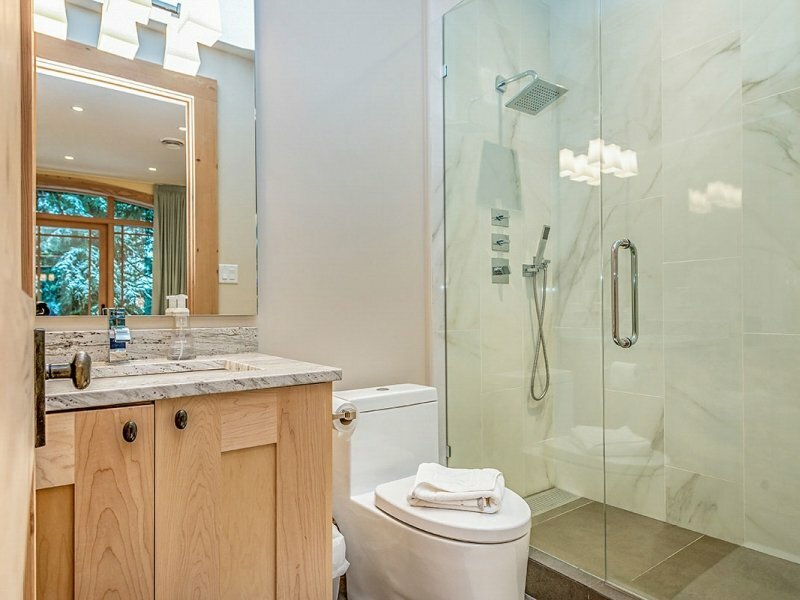 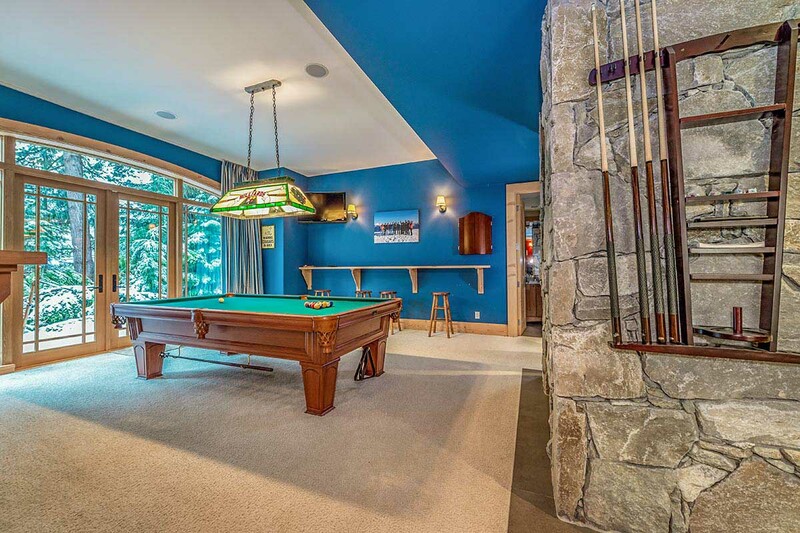 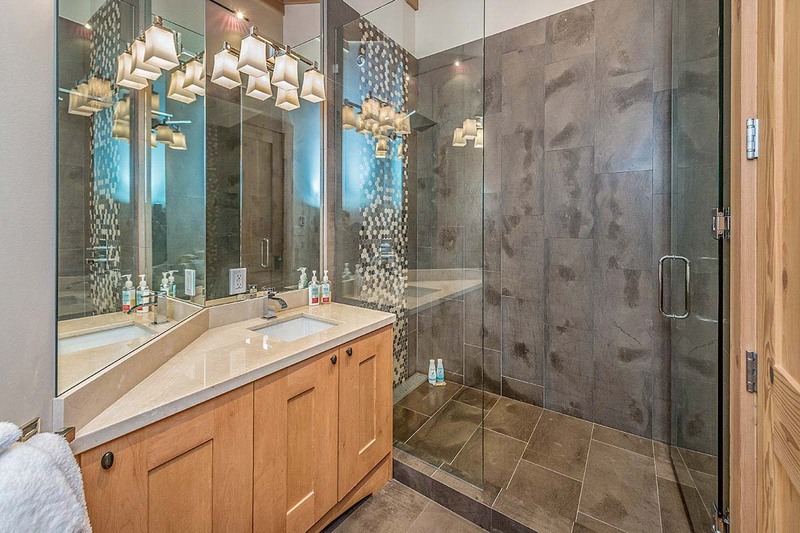 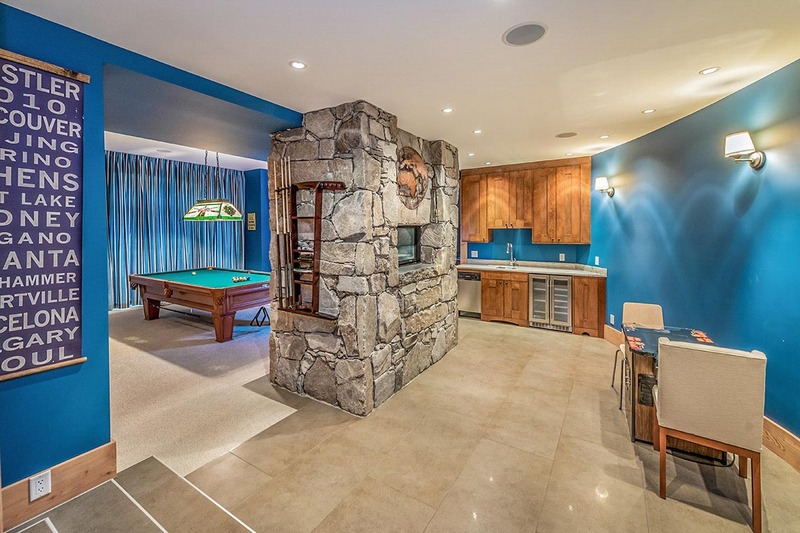 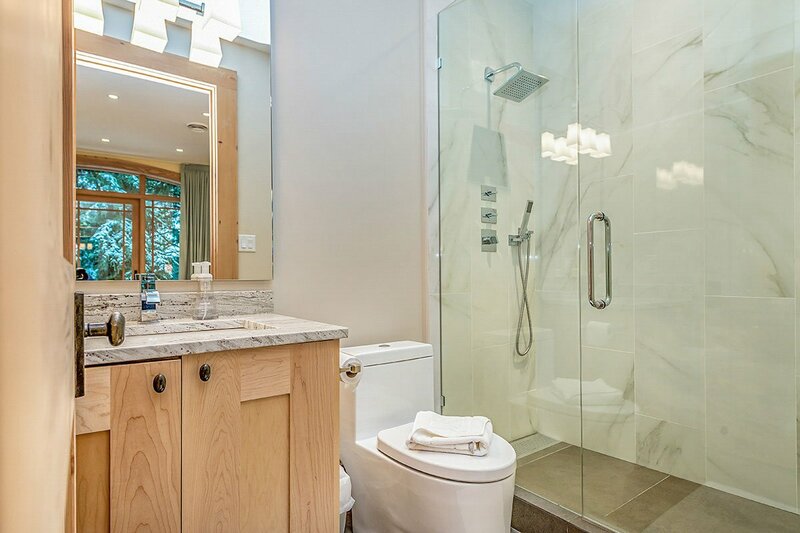 With a billiard room, media room, steam shower and outdoor hot tub, this prime location home will pamper you during your Whistler visit. 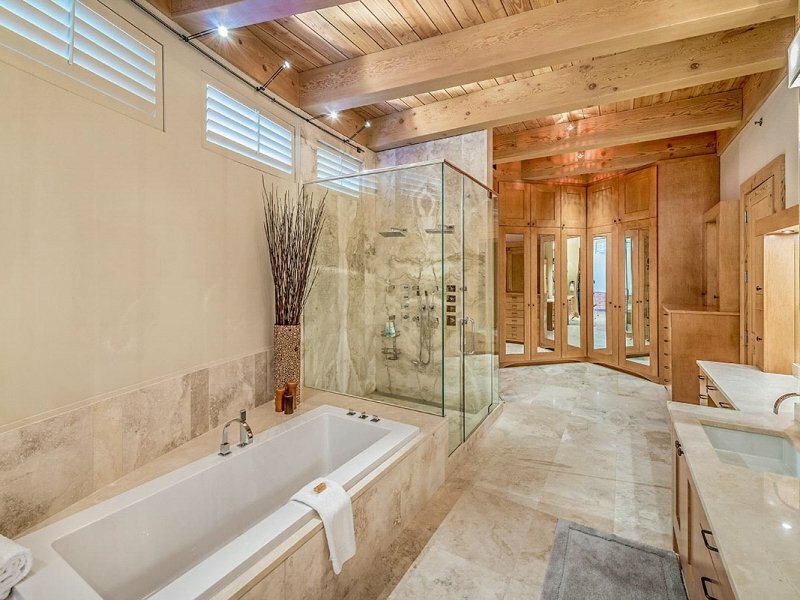 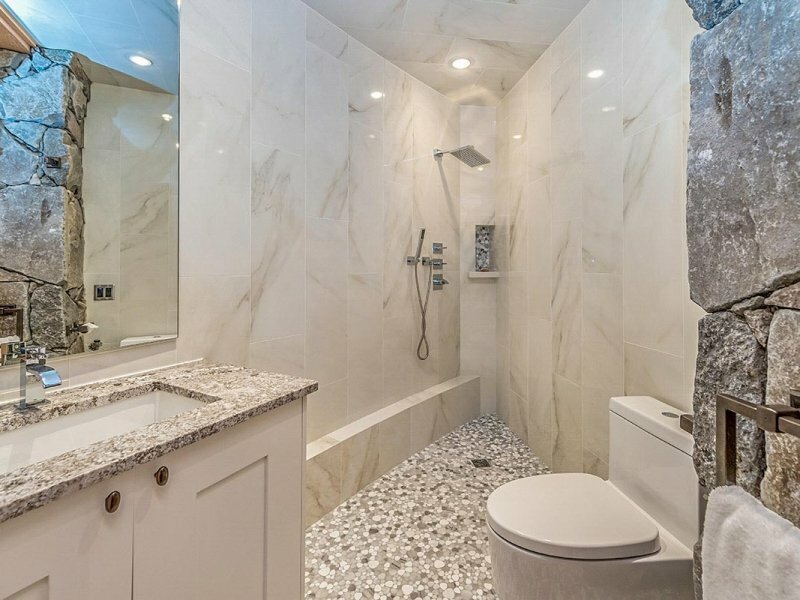 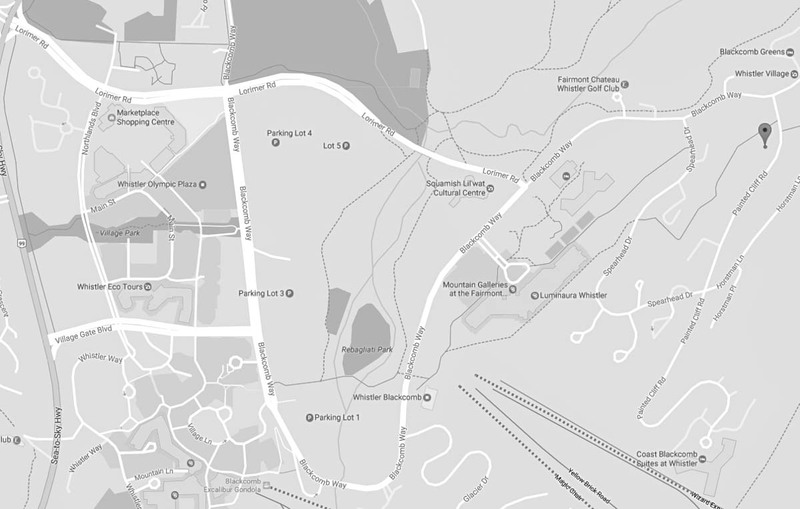 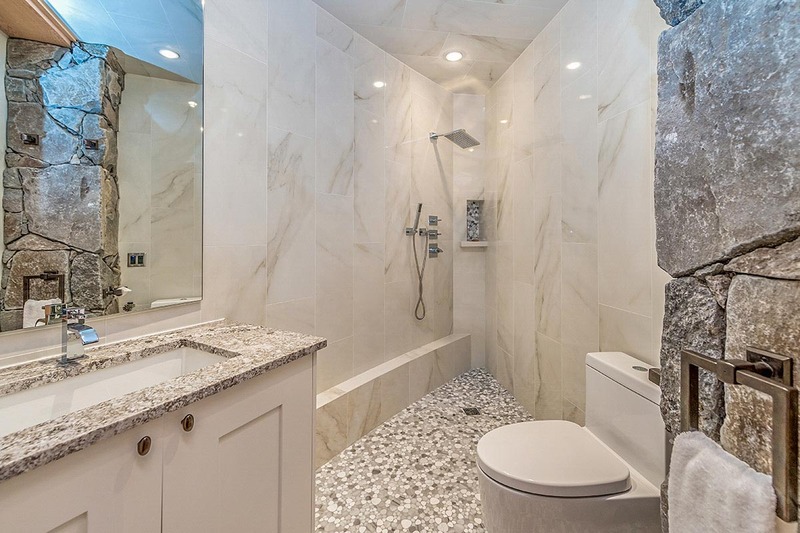 6000 square feet of luxury on 3-levels. 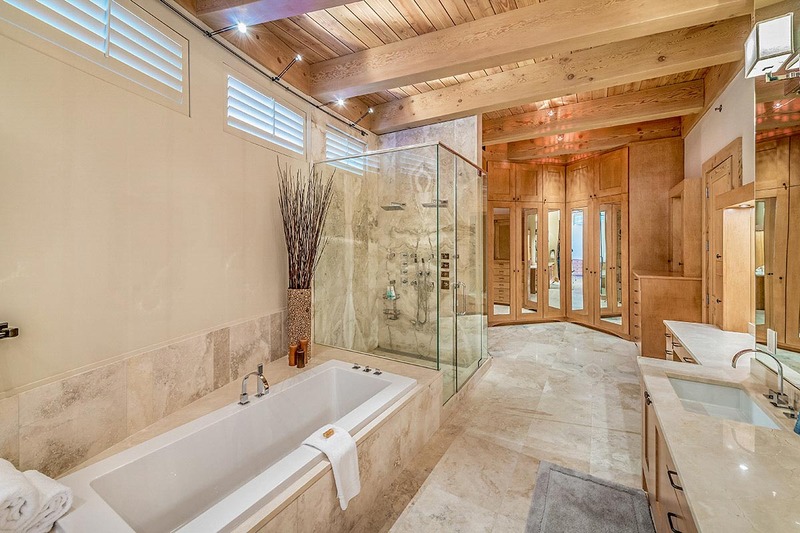 In-floor heating throughout. 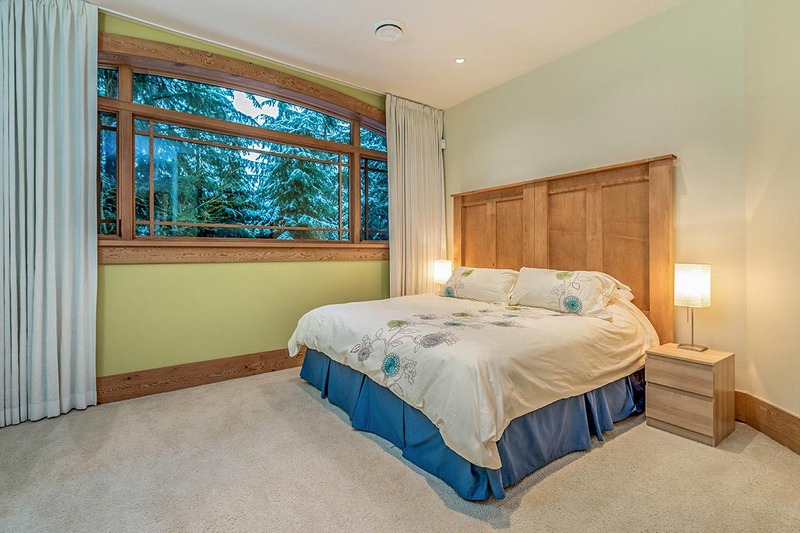 Main Floor: Enter through a large formal entrance foyer, or attached 2-car heated garage to a truly “great room” with living, kitchen and dining areas. 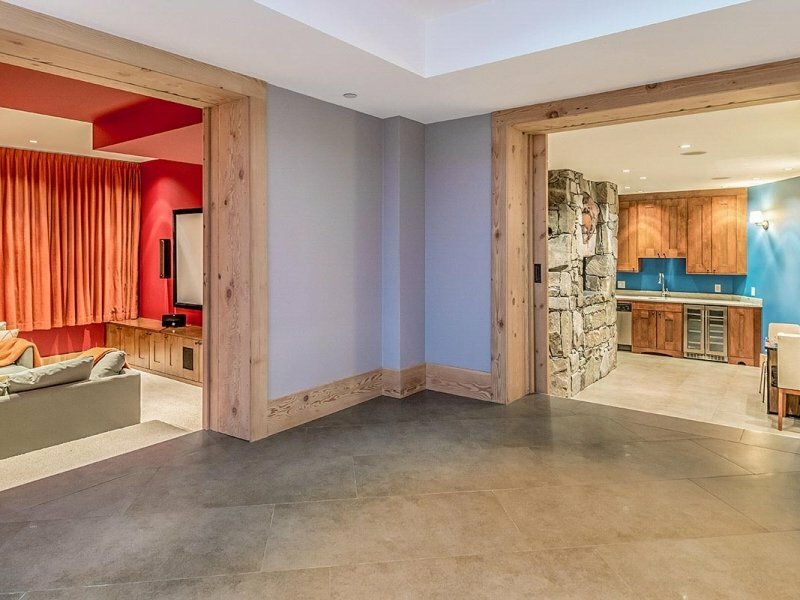 Large outerwear and gear storage room adjacent to entrance includes laundry. 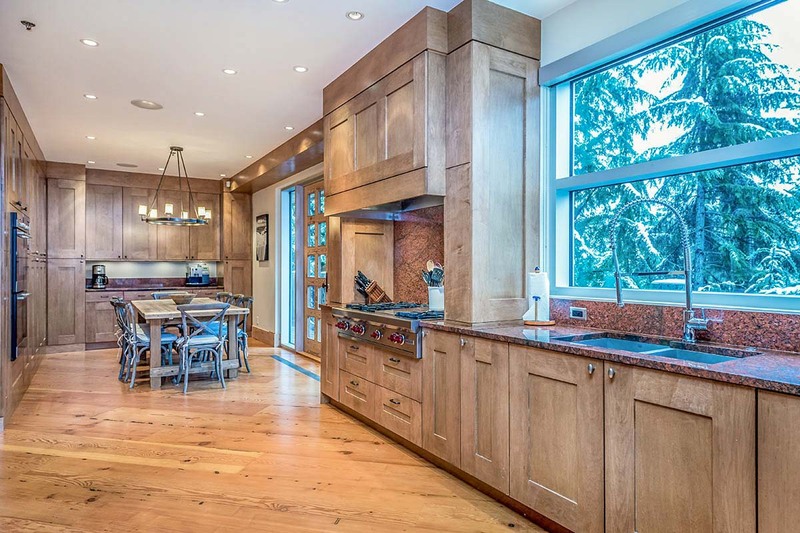 Heated slate and hardwood floors bring you to the open concept kitchen, dinning and Great Room. 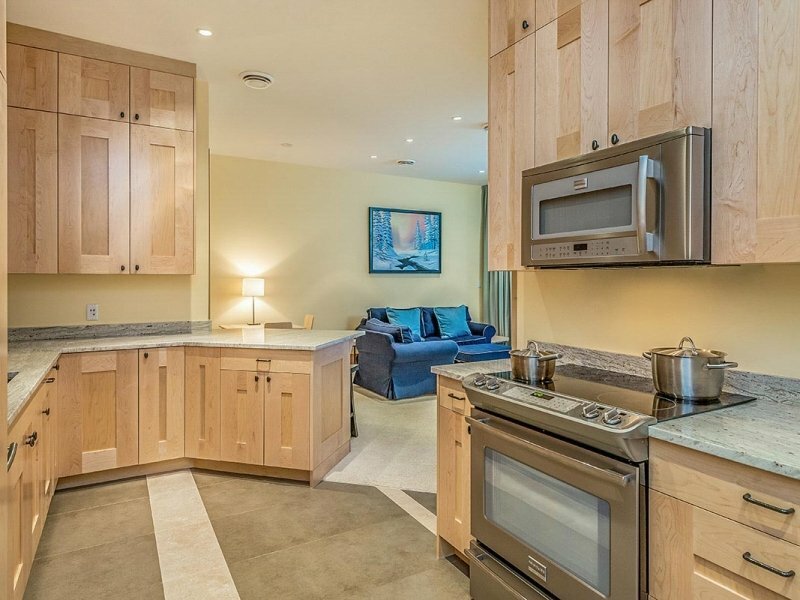 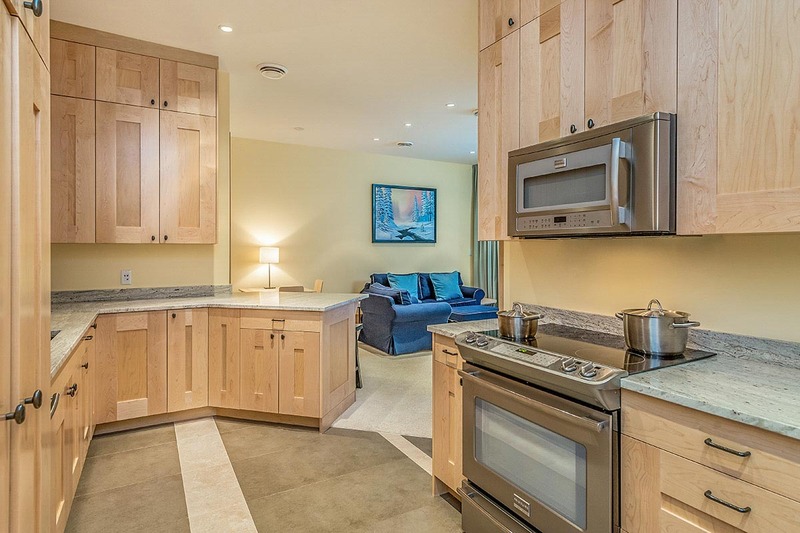 Gourmet kitchen with granite counter tops, 2-dishwashers, 2 ovens, sub-zero fridge and gas range. 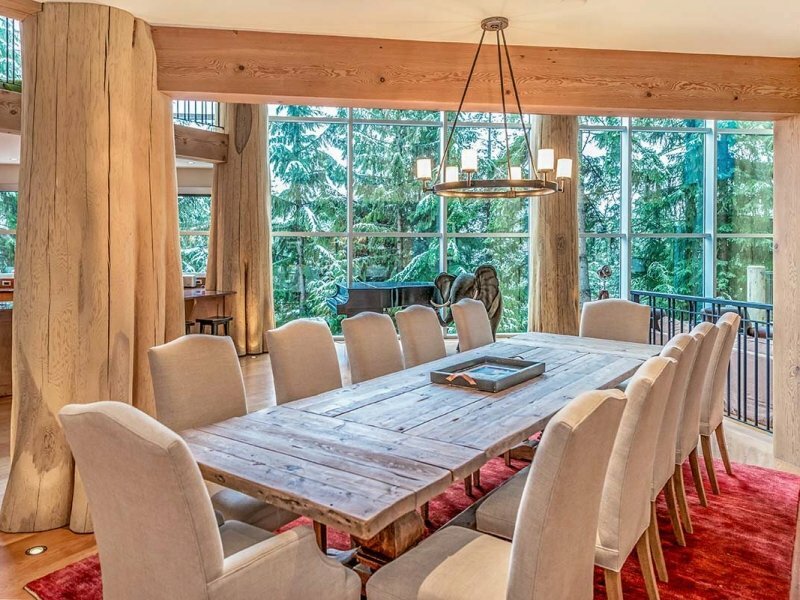 Dining room adjacent to kitchen seats 10, cozy breakfast nook seats 6. 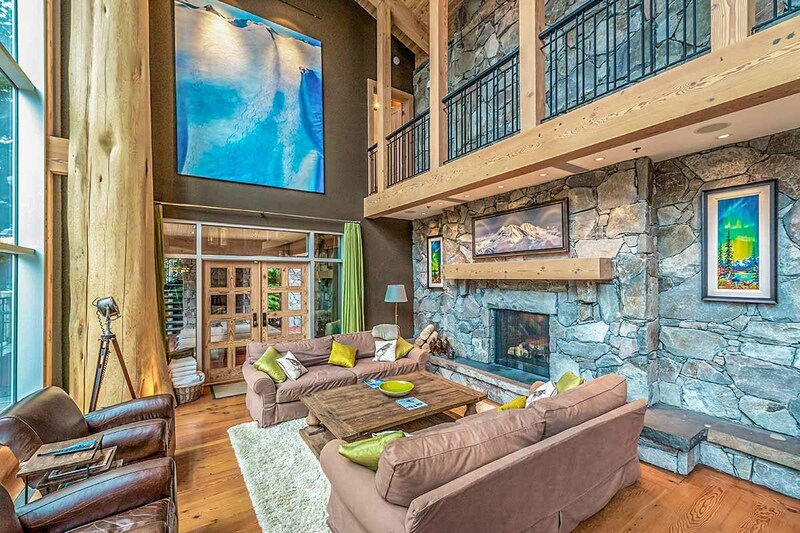 The warm and inviting “Great Room” living area has ultra-comfortable sofas surrounding the two-story two-way gas river-rock fireplace. 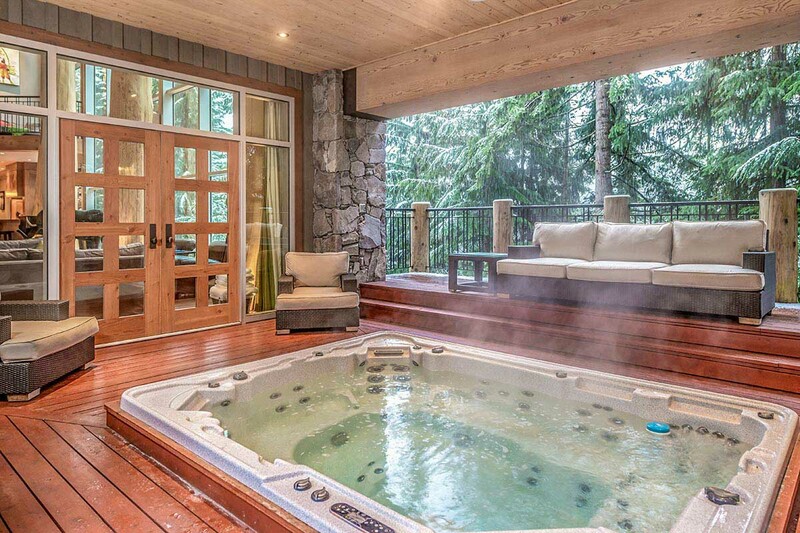 Great room flows to a covered deck with 8-person hot tub and wood burning, gas assist fireplace and bathroom. 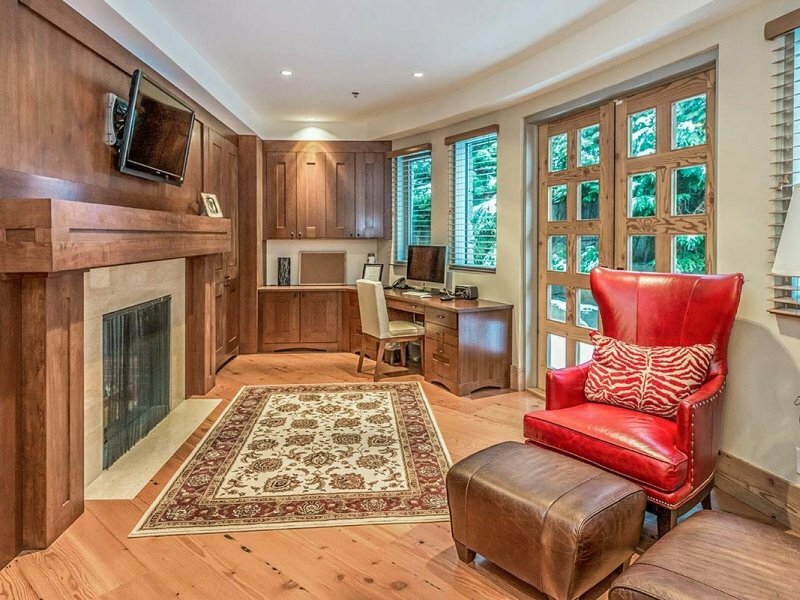 Spacious office enjoys the two-way fireplace. 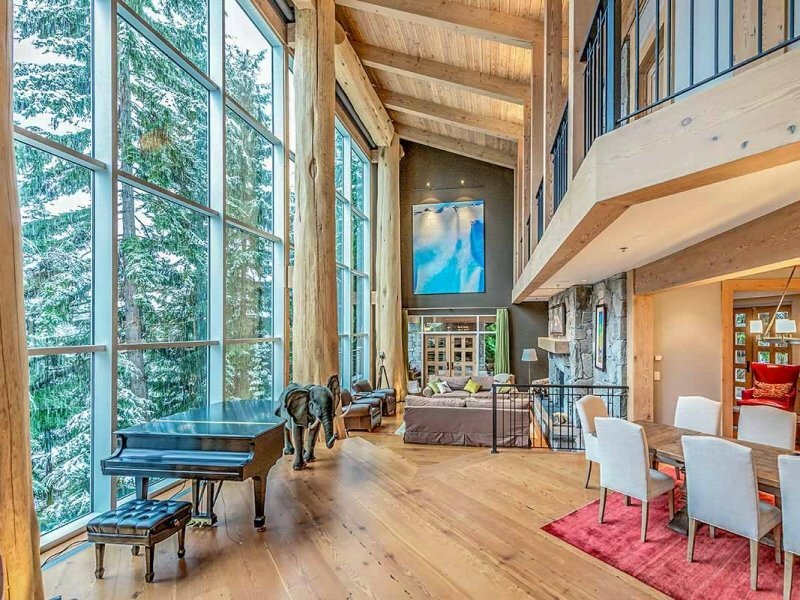 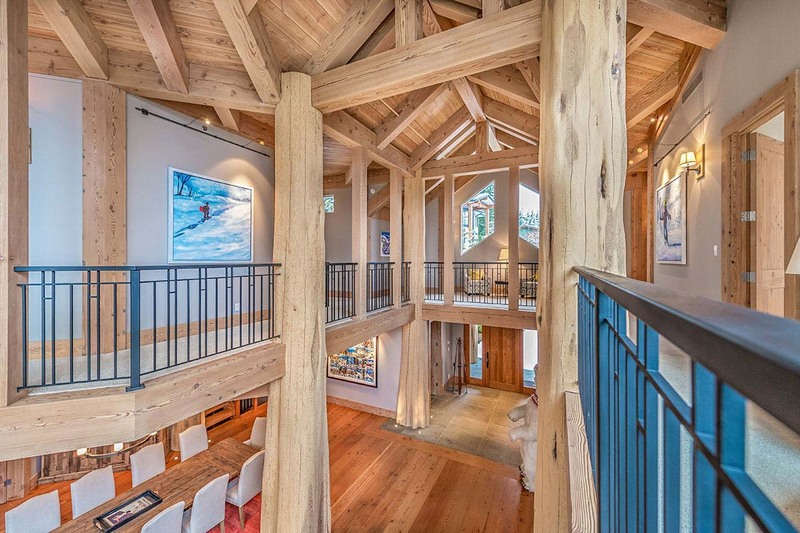 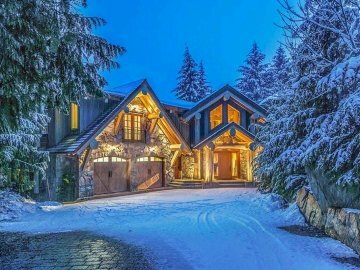 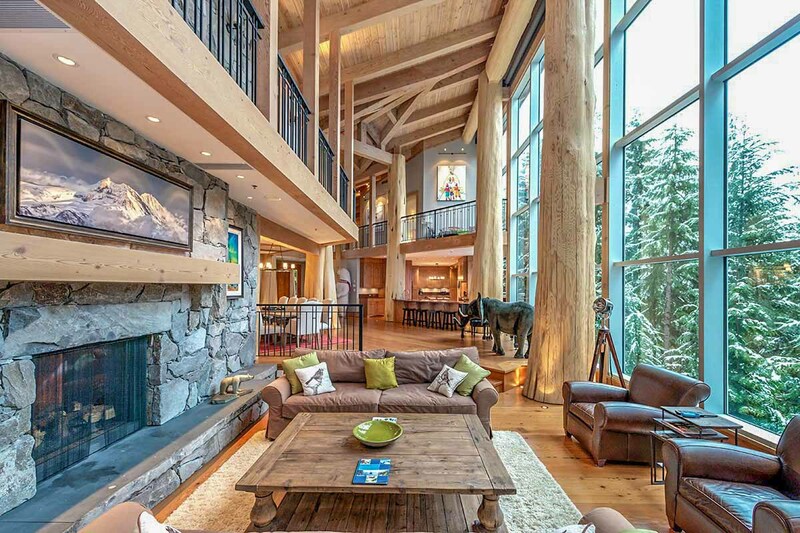 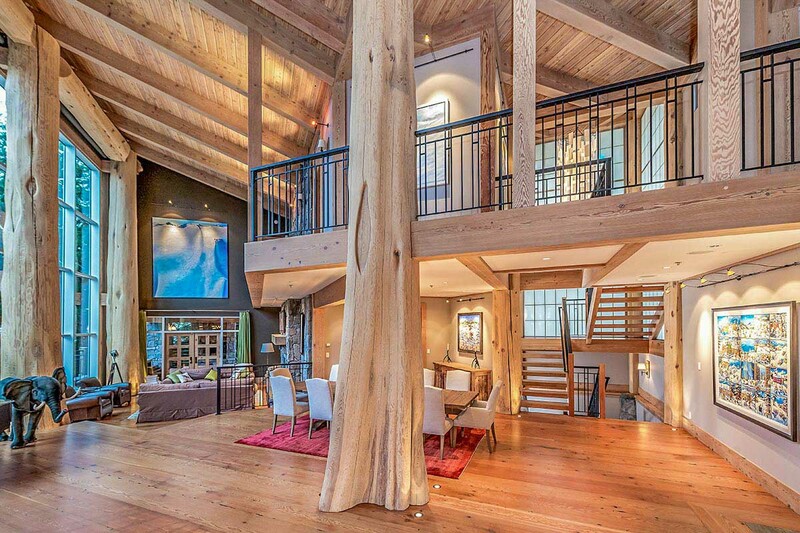 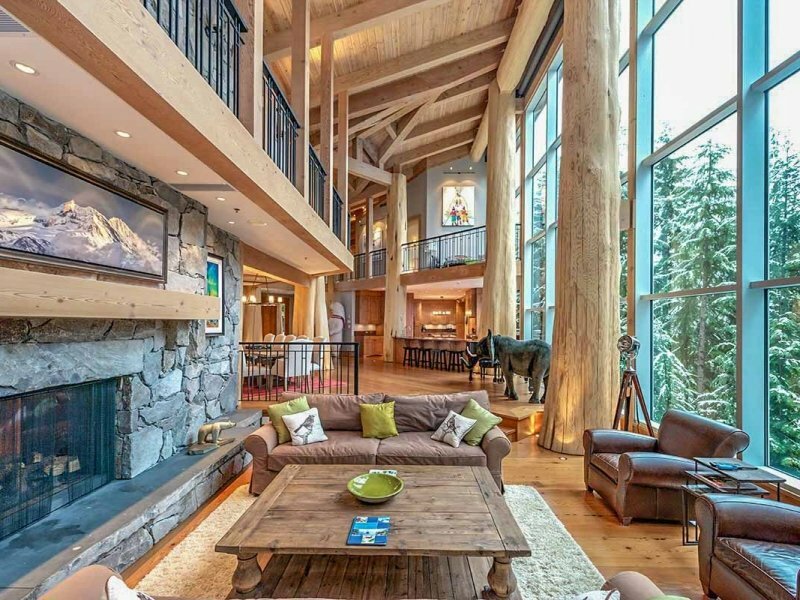 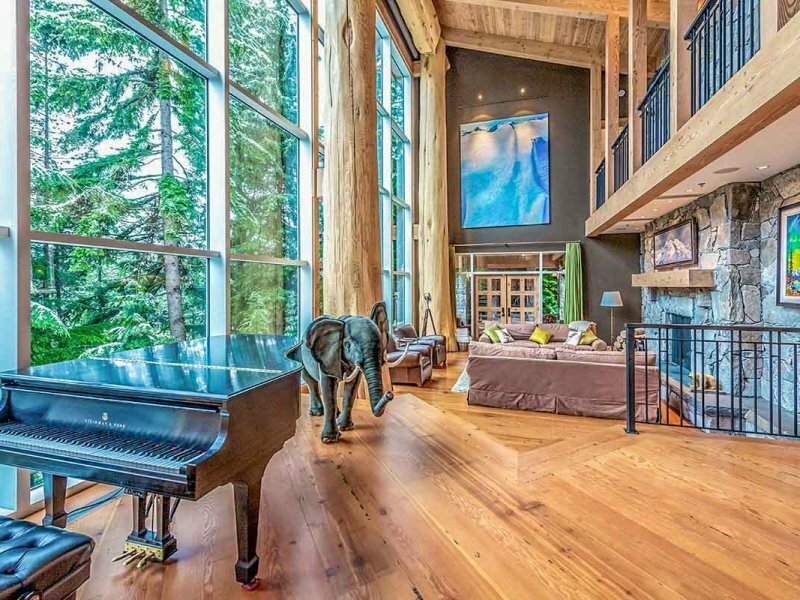 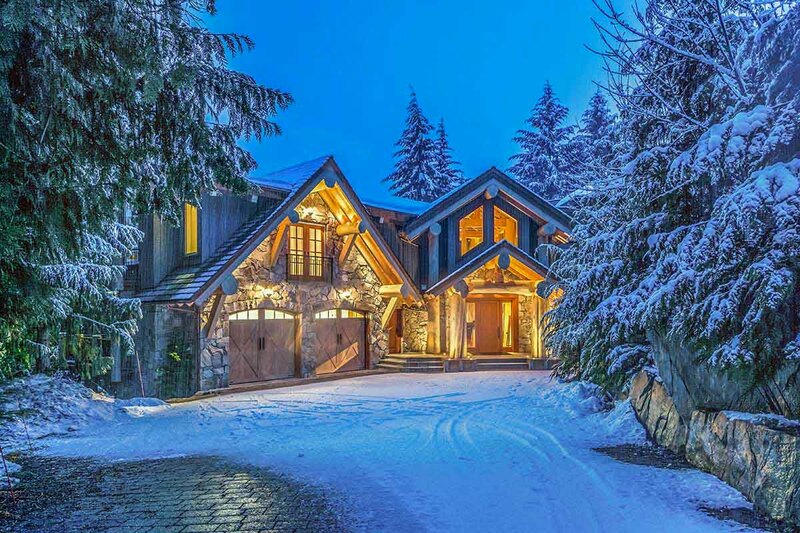 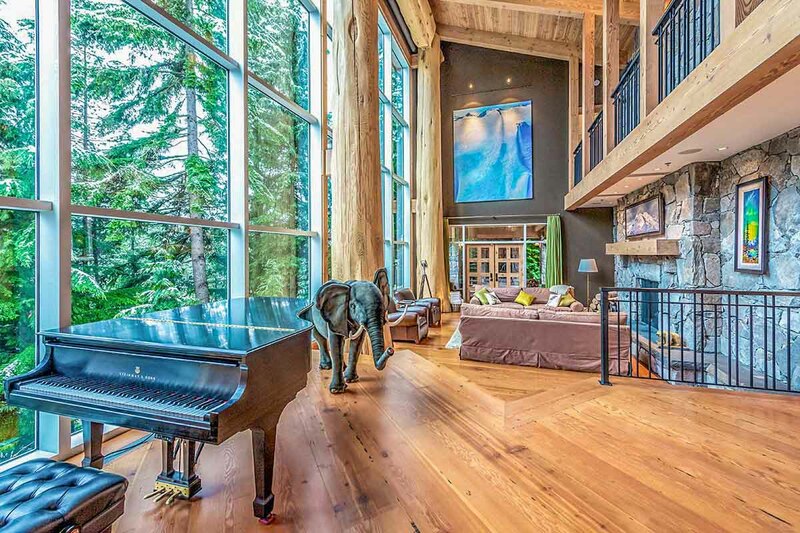 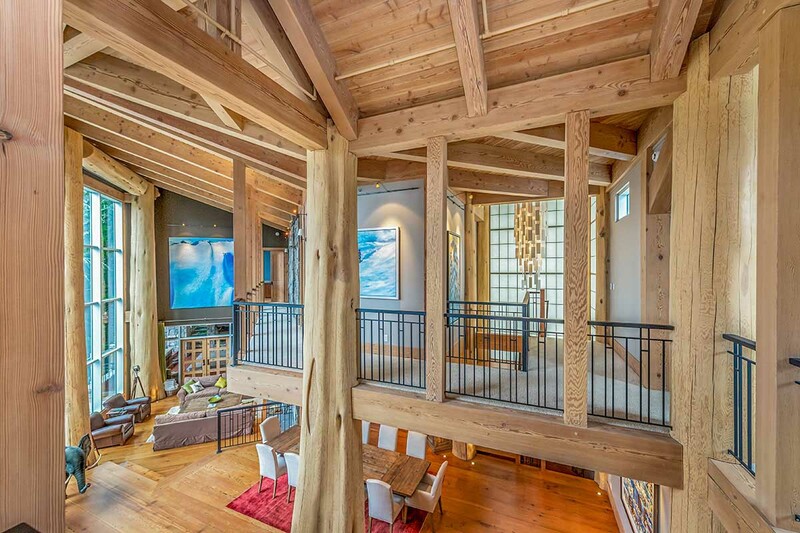 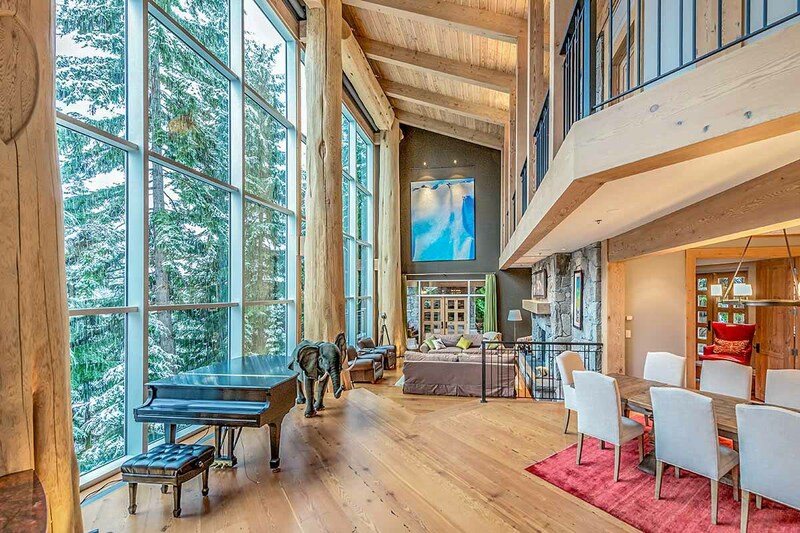 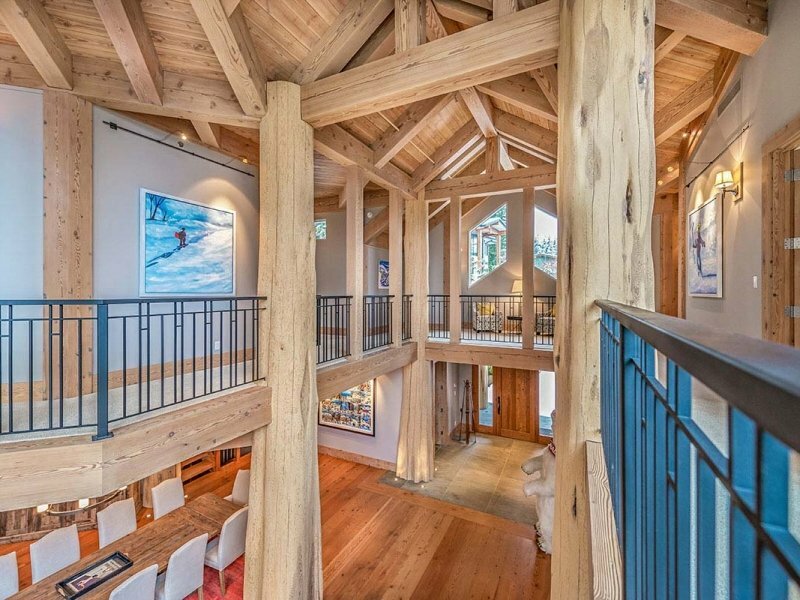 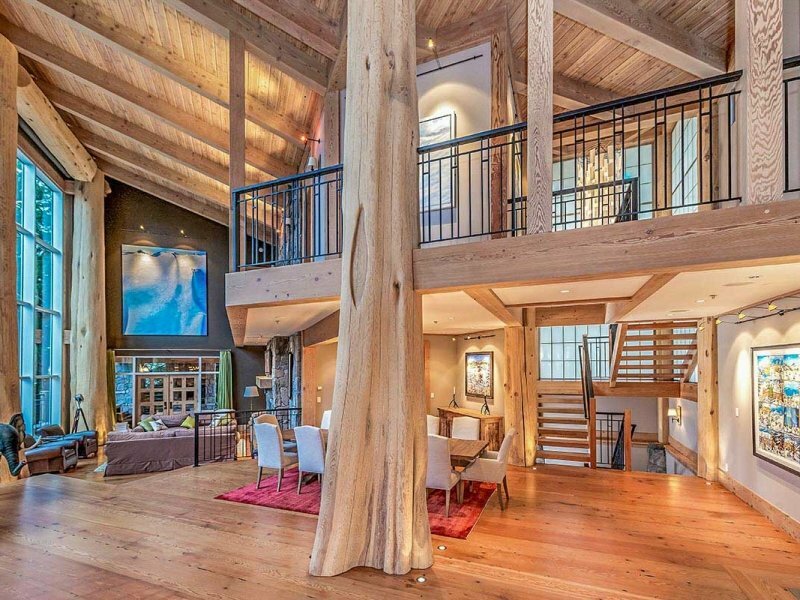 The Whistler and Blackcomb ski runs fill the view across the entire face of this spectacular home. 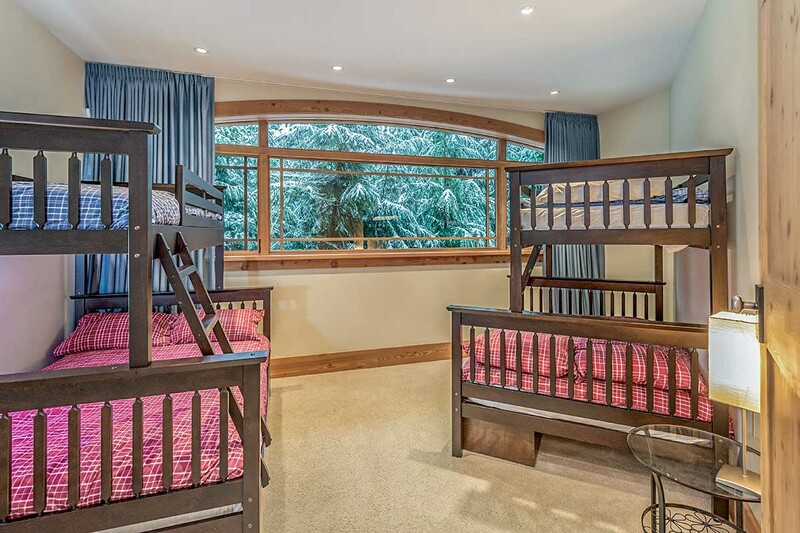 Third Floor: The third floor has 4 beautiful bedrooms, all with ensuite baths. 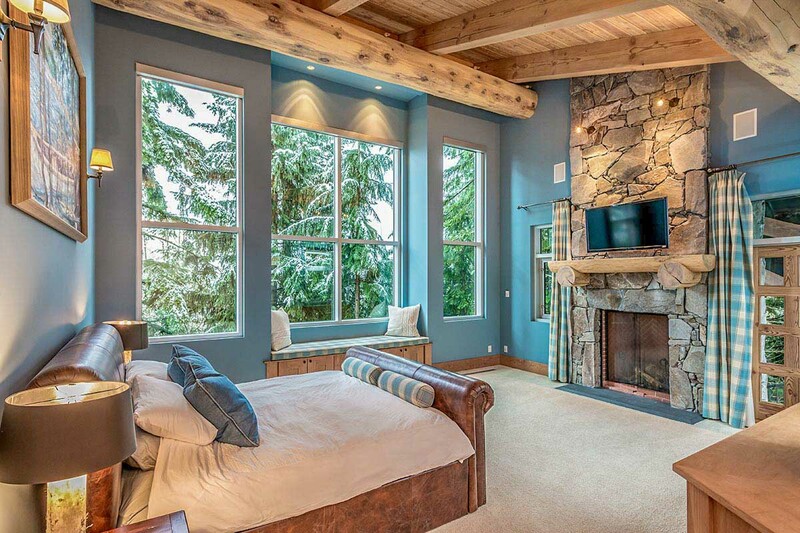 The Master bedroom has a king bed, gas fireplace, TV, relaxing soaker tub and shower. 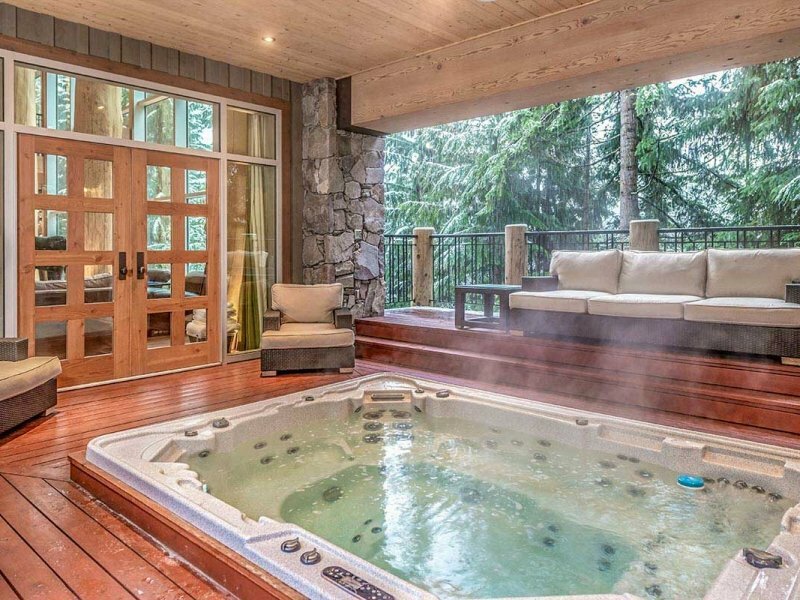 Your own private covered exterior stairs lead to the hot tub area below. 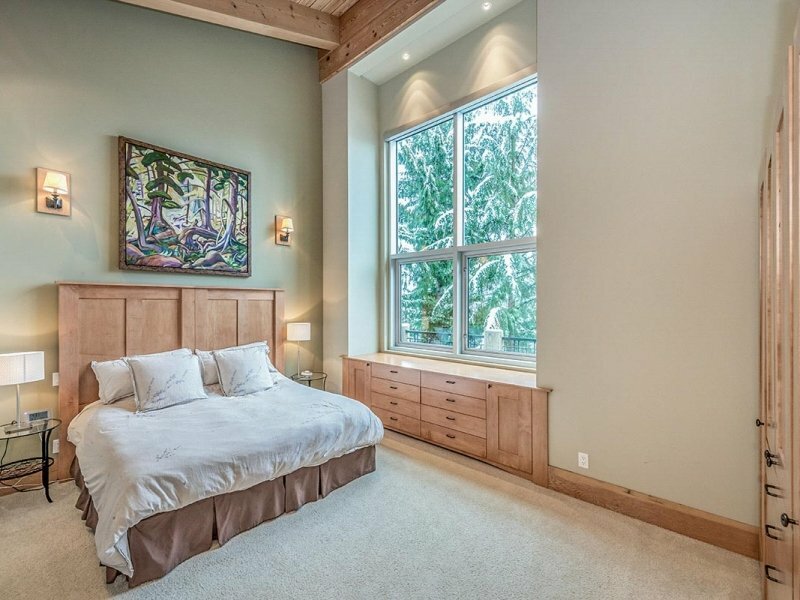 Second bedroom with king bed and full ensuite bath. 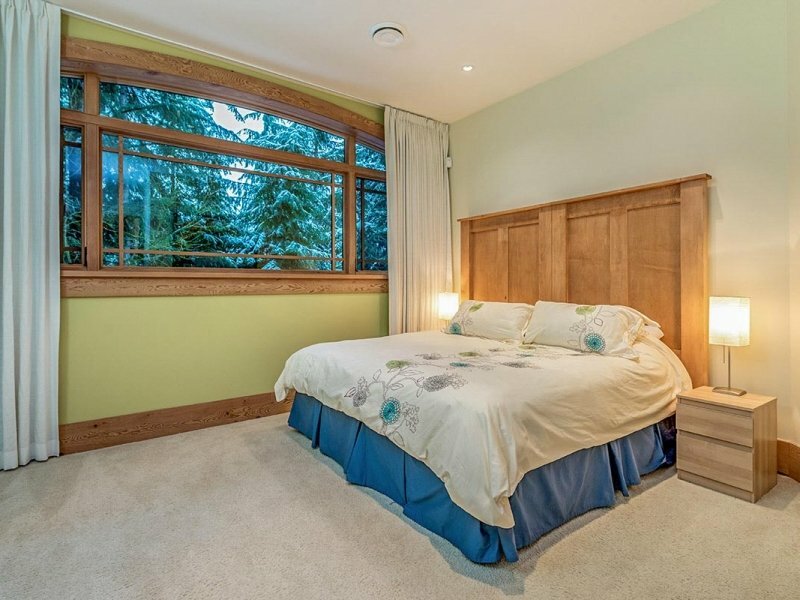 Third bedroom with king bed or 2 twins as required, and full ensuite bath. 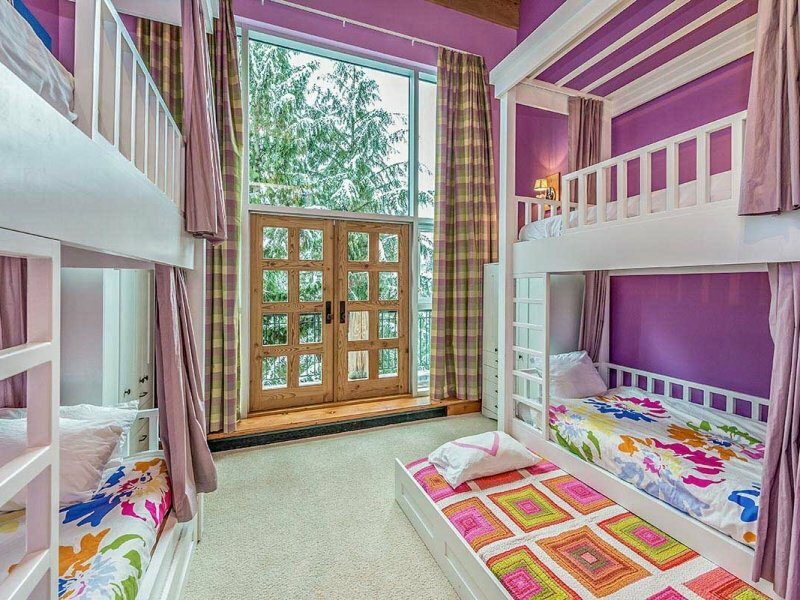 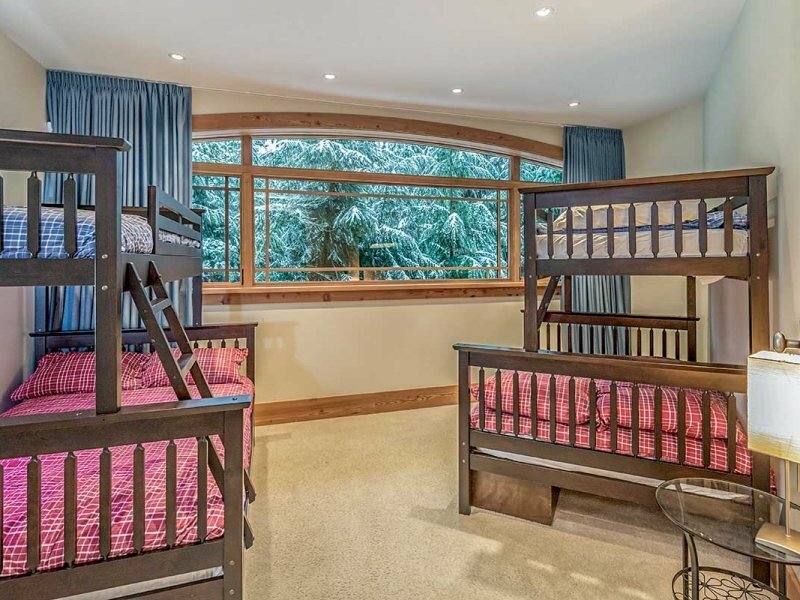 Fourth bedroom with four amazing full-size bunks the kids will love, plus full ensuite bath. 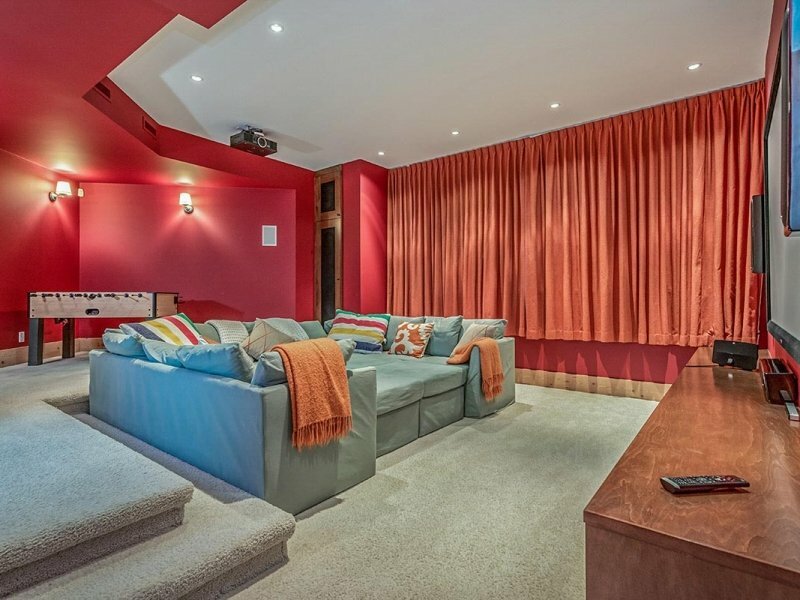 Lower Floor: Entertaining area lacks for nothing to assure your comfort and enjoyment. 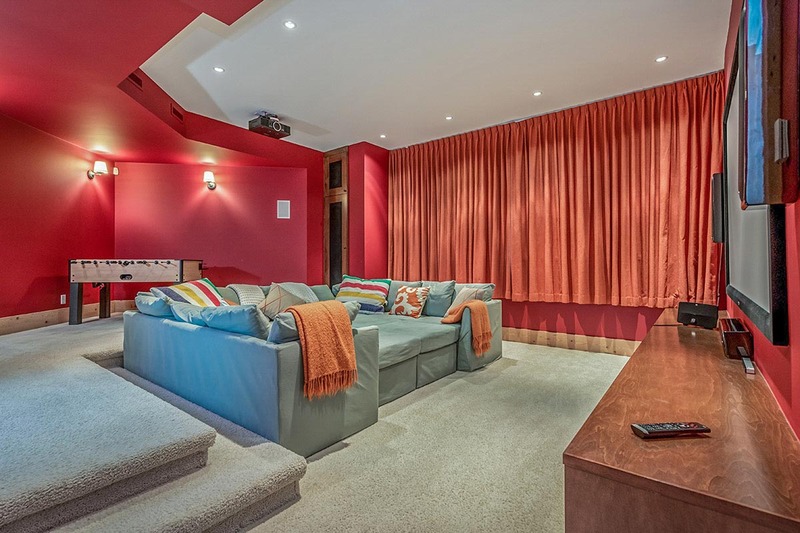 8ft HD projection screen highlights a large media room with “U” shaped comfy sectional sofa and big surround-sound home theater quality. 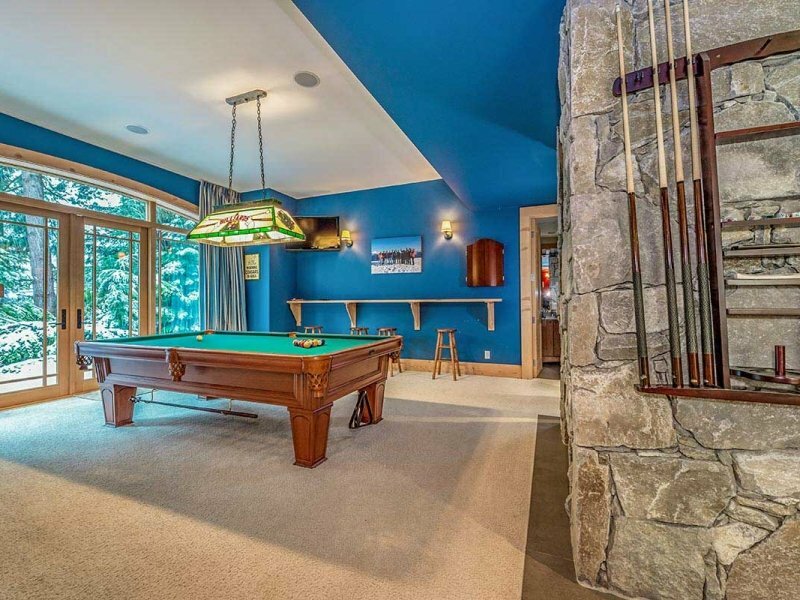 Wonderful games room with a 4ft. 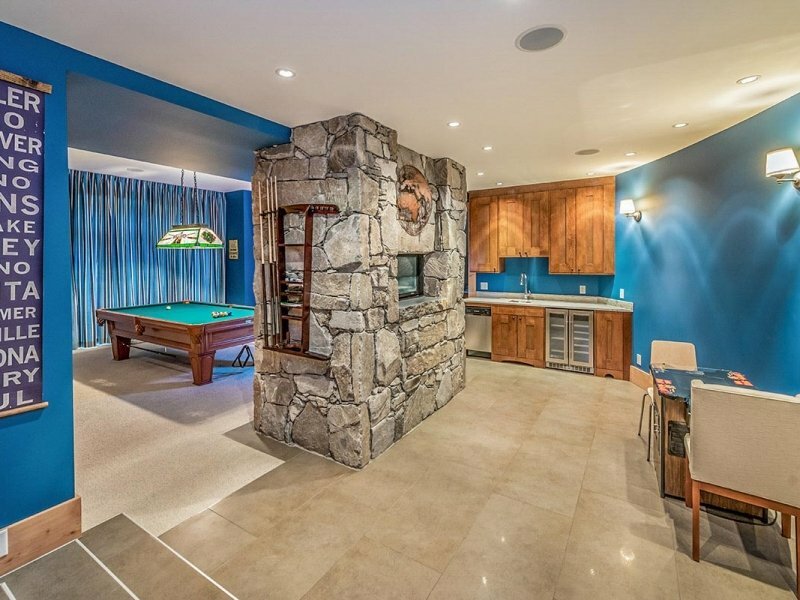 x 8 ft. pool table. 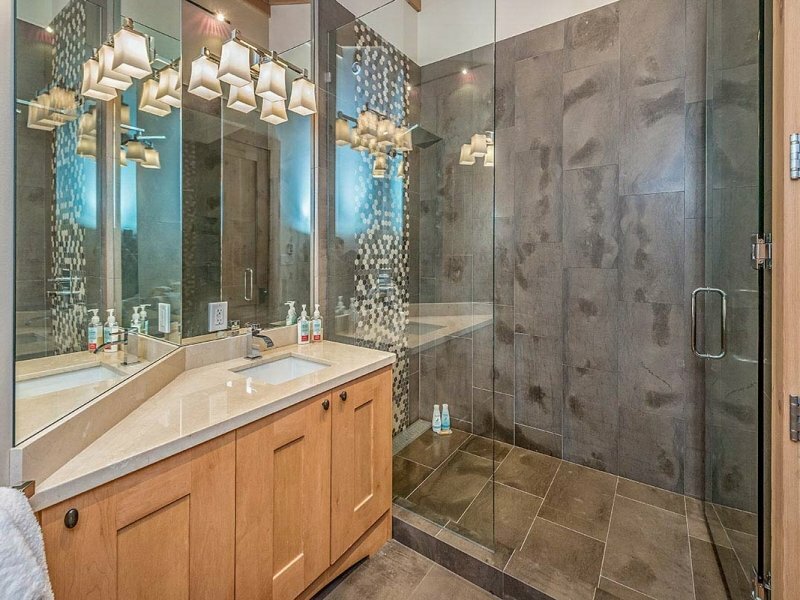 TV & gas fireplace, wet bar, foos-ball table, half bath and large wine room. 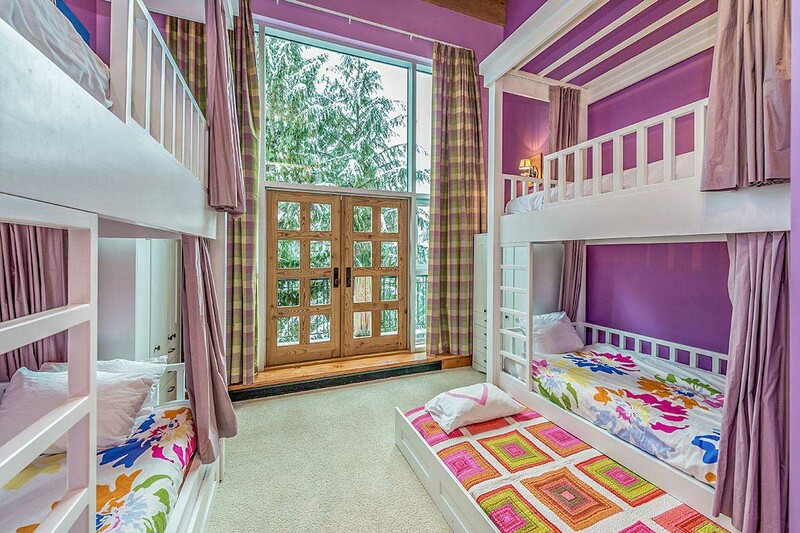 Also on the lower floor is the fifth bedroom with 2 tri-bunks (double lower, single upper) and full bath adjacent. 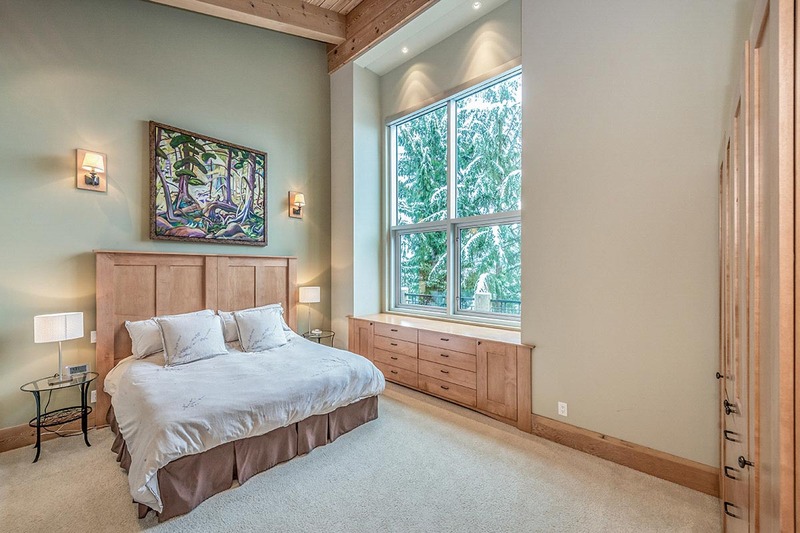 Sixth bedroom with king bed and full ensuite bath. 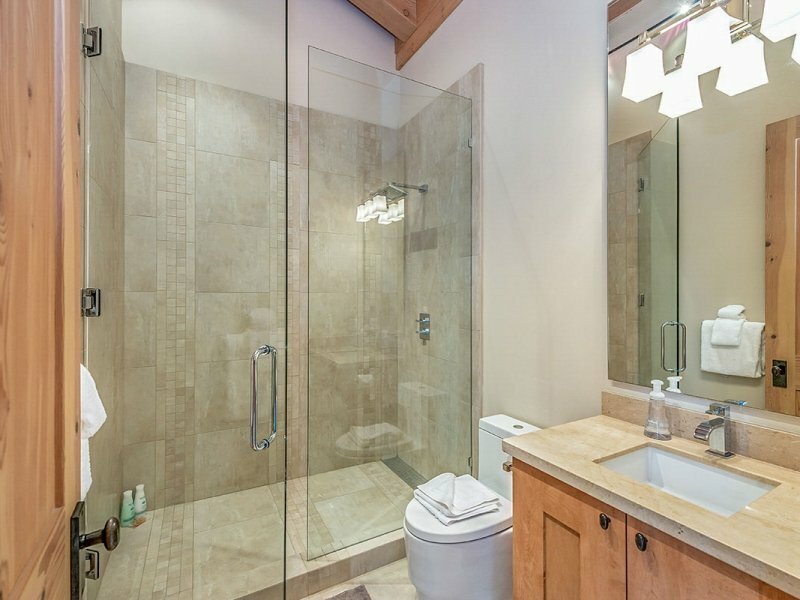 The 1-bedroom suite can function as part of the main home, or separate as it has its own entrance. 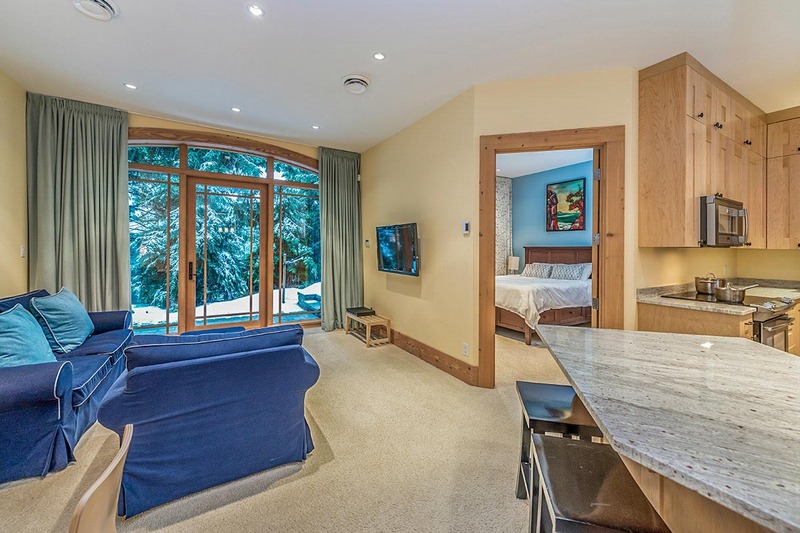 The suite has a living room, kitchen, and 1 bedroom (7th bedroom) with queen bed and full bath adjacent.